Paducah native Clarence Gaines will be forever equated with basketball. In his 47 years as head coach at Winston-Salem State University, he amassed 828 wins. 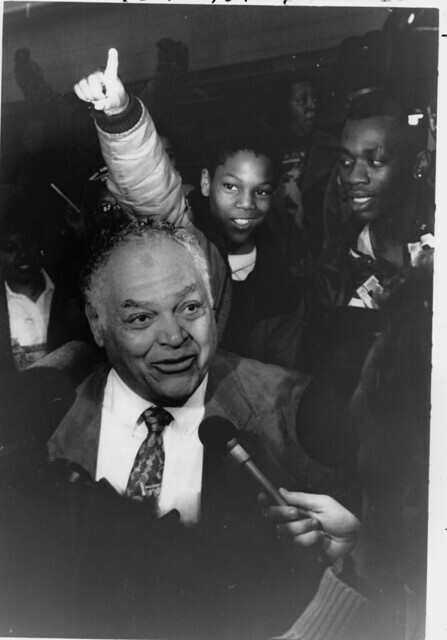 At the time of his retirement in 1993, that made him the winningest black coach in history and second overall. He was only bested by Adolph Rupp of the University of Kentucky. 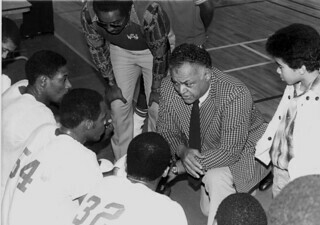 Coach Gaines’ teams won eight CIAA conference titles and led his WSSU Rams to an NCAA Championship, making the team the first from a black college to do so. He was a pioneer in recruiting and the transition of basketball from a slow game to one of fast breaks. He also forged a path through a racially divided nation, using basketball and sports as a way to break down barriers and bring people together. It is natural to equate Coach Gaines to basketball. His talents, abilities, and spirit came to full fruition on the court. Yet Clarence Gaines seemed destined to blossom no matter what his vocation could have been. For much of his early life, basketball was not his radar. He’d naturally excelled at and even coached football for a while. But Clarence Gaines ultimately never imagined a career in sports. Until LIFE intervened, he’d intended to become the best dentist he could be. 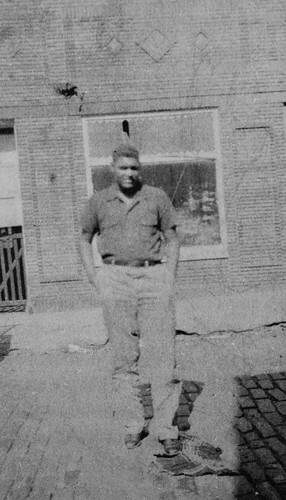 Clarence described a culture in the neighborhood of care and concern for another with blacks and whites helping, supporting, and spending time together. He also credited his father with spending time with him, teaching him the basics of life—and his mother, for offering him every opportunity available for education and enlightenment. Later in life, his parents would own the Metropolitan Hotel, guiding it through some of its most golden years. By the time he graduated in 1941, newspapers had already been calling him the top tackle in the state, white or black. There were no delusions, however, of pursuing a professional sports career. Segregation kept black players from the ranks of the pro leagues. The aim of sports was to continue an education and get a career. A network of people within the black community of Paducah went to work to find Clarence a college. He recalls, “Mrs. Mundy, a lady in my church, Burk’s Chapel A.M.E., acted as the unofficial college placement officer for all the black kids in our town who had the grades to get into college.” With the help of family doctor Phillip Fernandez, Clarance was accepted with a scholarship to Morgan State in Baltimore. His acceptance was based on his strong academic career and the potential of his performance on the football field. By the time he graduated from Morgan State, his grades were good enough to get him into dental school, but the money was not there. After being recruited to be the assistant coach of all sports at Winston-Salem Teachers College, he decided to work for a while before going back to school. After a dismal football season and the exit of the head coach, Clarence was asked to become head coach. He was only 23. Football was the focus, but with a season that ended before Christmas, Clarence coached basketball during the winter. Basketball was a sport intended to give athletes something to do when it was too cold to be outside, and some colleges did not focus many resources on teams. The growing sports program at Winston-Salem was eventually too much for one person, however, and Clarence had to make a decision. “I realized that recruiting a 10-man basketball team had to be infinitely easier than recruiting a 30- to 40-man football team,” said Coach Gaines. He took on the men’s basketball team coaching spot and never looked back. His recruiting style was innovative and, later on, oft-copied. He used his personal connections to keep an eye out for talent. He would travel back home to Paducah to find kids who needed an opportunity for higher education and could use their athletic abilities to get them there. He also developed a network of former classmates and players who would watch for talent. One of his biggest recruiting areas was around New York City where they would watch teenagers play games at recreation centers and on city courts. Coach Gaines also picked up early on the shift of basketball from a slow, methodical game to one of speed and fast breaks. It was the attack-on-the-basket style that propelled the sport into another realm. Without planning it, the successful teams Coach Gaines built began to be a force to help break down racial divides. The white public had generally ignored black colleges and players. But Coach Gaines’ recruiting ability and his willingness to adopt new approaches were soon noticed. One Sunday morning, as he stopped by his office on the way to church, he heard a basketball being dribbled in the gym. He recalled, “I would never call a practice on a Sunday morning. In fact, I urged my players to take Sunday off and go to church to get right with God. I opened the door to the court and looked inside. There were my black players taking on the white Demon Deacons from Wake Forest in a pickup scrimmage. There were no coaches and no fans—just a white team playing basketball against a black team. I watched for a few seconds, then closed the door before anyone noticed me. I went on to church. What I had witnessed was probably illegal.” The games continued on a regular basis. What they did “was unofficially integrate Winston-Salem,” said Coach Gaines. It was the players’ idea. The Rams grew in popularity some years to the point that the gym could no longer hold the crowds. The most popular teams played in the nearby coliseum, which was not officially segregated. The crowd was mixed, black and white together, finding the love for the game stronger than the desire to separate from one another.